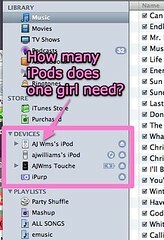 Lesson learned: ITunes does not like having 4 different iPods connected to it and trying to sync things. Bad idea!! !